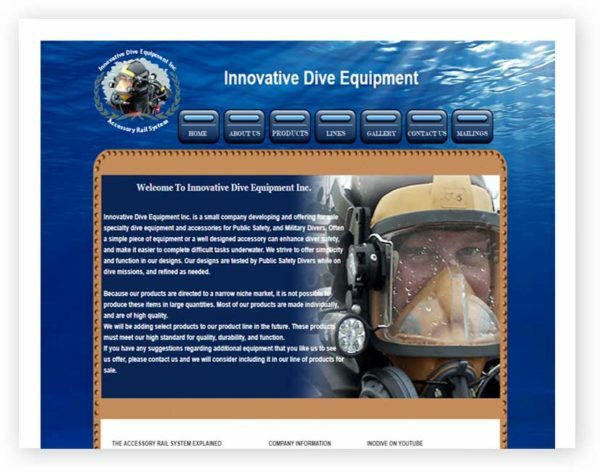 Dive Equipment & Accessories for Public Safety, and Military Divers. Innovative Dive Equipment Inc. is a small company developing and offering for sale specialty dive equipment and accessories for Public Safety, and Military Divers. Often a simple piece of equipment or a well designed accessory can enhance diver safety, and make it easier to complete difficult tasks underwater.